The 124-page volume reflects the efforts of our researcher, Ulf Buchholz, to upgrade the accuracy and completeness of our lists. Some lists are compiled by survey; some come from public records. Besides providing bragging rights, the lists also provide a comprehensive index to business owners, managers and C-suite executives, complete with contact information. And starting in January, the lists will be available online. Watch for details. 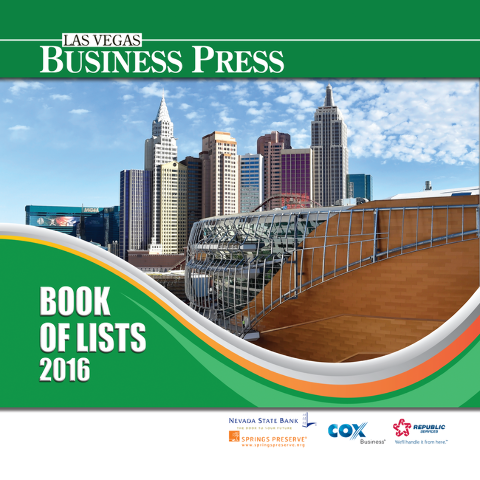 The Book of Lists takes the place of the Dec. 28 Business Press. Your print and online versions of the Business Press will return Jan. 4. Thank you for your cooperation in completing our surveys this year. We recognize that private businesses don’t have to share data but our community is stronger when they do. And season’s greetings from the Business Press staff.